Culinary maven Padma Lakshmi is revered for her exemplary taste. From cookbooks to cooking shows, the model and Top Chef host now lends her talents to craft cosmetics. 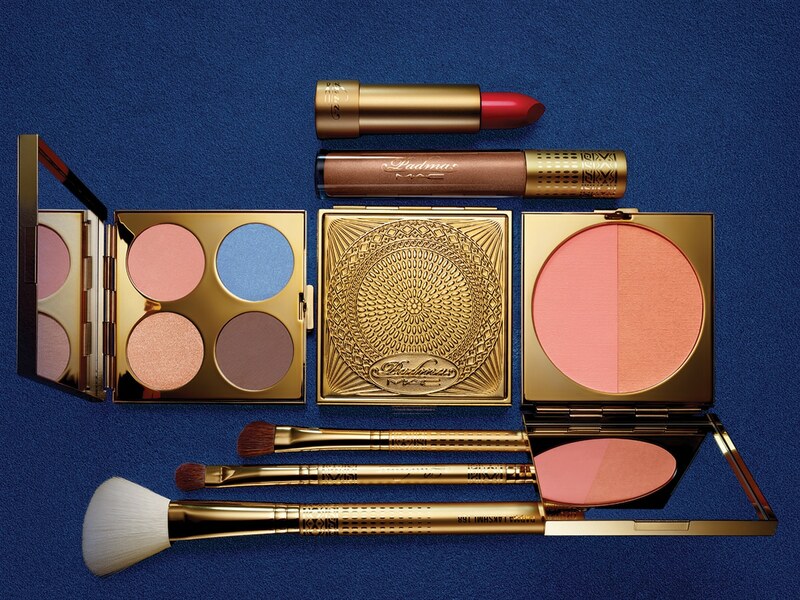 Lakshmi cooked up 17-piece capsule collection MAC Padma Lakshmi, conceived to take you from day to night—and to endure your epicurean adventures in between. “I love MAC and have loved MAC for decades,” says Lakshmi. “As my favorite beauty brand, it was really the first company I found that made a foundation that looked good on my skin.” Long-lasting matte lipsticks ($17.50) in exotic shades like Sumac, Apricot Gold and Mittai Pink pair with quad eye shadow palettes ($33) in earthy hues such as Cardamom, Indian Moon and Shell Peach; blush duos ($33) flecked with golden sparkles; and dual-ended eye pencils ($18.50) to draw an artful, kohl-rimmed eye. A peachy-gold gloss in Nefertiti ($21), an online exclusive, is a certain staple for the season. All products are gilded with Lakshmi’s Midas touch showcased in brushed-gold packaging and designed to flatter a wide range of skin tones. And a trio of golden-handled brushes ($25 to $35) rounds out the collection, offering the perfect tools to whip up your own unique recipe for beauty.